The volleyball libero is a defensive specialist who wears a contrasting color jersey that differentiates her from her teammates. 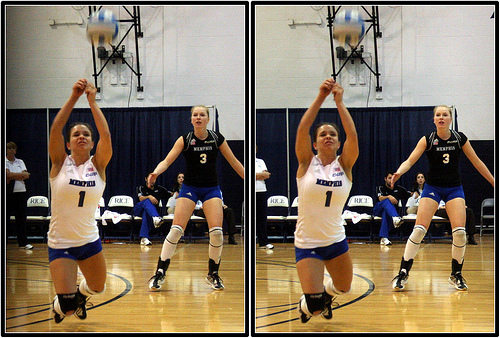 The libero is a defensive specialist who wears a contrasting color jersey that differentiates her from her teammates. The libero goes freely in and out of the court to take the place of a front row player who's rotated to the backrow when the ball isn't in play. The volleyball libero position was first introduced In Italy in the late 80's early 90s. As a professional volleyball player in Italy, my fellow Americans and I were playing with liberos for several years before the concept was officially introduced in the United States in 1999. The word "libero" means "free" in Italian. The Italian concept of the "libero" meant that a particular designated player was "free" to roam in and out of the court in the back row positions to play defense. That meant, liberos were "free" not to follow the traditional rules of volleyball for rotation and substitution and they could come in and out of the game with few limitations. Although, the designated libero had a lot of freedom in the back row to roam anywhere behind the ten foot line, they were actually prohibited from becoming a spiker who could hit the ball in the front row. According to the volleyball libero rules, the player in the libero position is prohibited from playing any front row or front court position. They are limited to the back row where they are able to take a front row player's place to play defense when that player rotates to the back row. Okay I promise I won't use the word "free' anymore but I think you get the point. 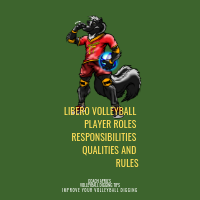 Why Was The Volleyball Libero Role Created? Because of its worldwide popularity, volleyball in European, Asian, and South American professional leagues, exhibition games and matches had regularly been televised on local and national TV stations for much longer than they have in the US. Outside of the United States many international professional indoor leagues attract hundreds of thousands and in some places even millions of spectators. Where there are pro sports with millions of spectators, there are also a lot of international companies and sponsors that spend money supporting the sport and paying big contracts to the best players in allparts of the world. In order to keep those sponsors interested in supporting the game, event organizers and the officials in the international volleyball federations were always looking for ways to make the men's game more exciting. The professional men's game was popular but it needed more spectators because the TV audience was attracted to the women's volleyball game which kept their attention longer because of the longer defensive plays and unpredictable but longer rallies. One of the ways that the "powers-that-be" wanted to make the game more exciting was to introduce and promote the use of liberos. You see the men's game in the 70s and 80s and early 90's had always been a power game with lots of strong hitting and very little defense since many coaches emphasized front row skills in their practices like hitting and blocking. This type of game drew more fans and increased the TV audience for televised games.The skimpy uniforms didn't hurt either. Introducing and promoting the role of liberos and by adopting a few special rules that applied to the volleyball libero position, international tournament and professional league organizers thought this new position with its new rules would draw more television spectators to the men's game because they hoped these elements would make the game more exciting. 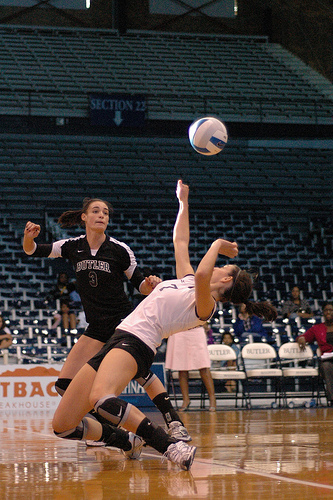 Volleyball event officials hoped that with shorter, more agile and athletic players coming in for the taller players when they rotated to the back row would produce more defensive plays and more exciting, longer and more suspenseful rallies which would hold the interest of the television audience longer. The longer the rallies, the more exciting the play, the more exciting the play, the more spectators, the more spectators then the more sponsors. This was the thinking of the international volleyball federation officials. The women's game had more spectators because they already had longer rallies since pro women volleyball players played more defense. According to the "experts" this was why there was more suspense and interest in their games. 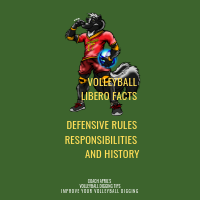 To encourage more defensive plays, especially in the men's professional leagues, the role of libero was promoted and then officially introduced by the FIVB to help make the men's game faster, more suspenseful and more TV friendly.